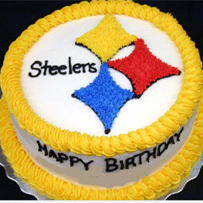 Celebrating the passionate fans of Steeler Nation Mexico! ¡Viva Ben, viva el No. 7! Los aficionados de los Steelers en México usan la camisa de Ben con orgullo, dedicación y pasión! Regios de Acero makes another appearance on Ben’s website! 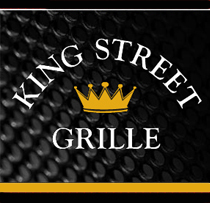 “We are a Steelers fan club located at Monterrey, México. Let´s wave our terrible towels! ¡Agitemos las toallas terribles! 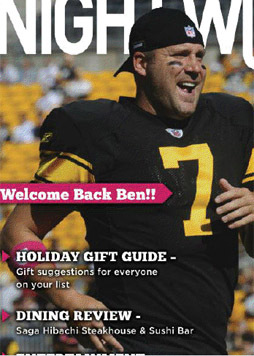 Please tell Ben that we send him best wishes and good luck for this season, we will be here supporting him during all games, and we will be in Atlanta too this December. You can follow Regios de Acero on Twitter (@regiosdacero) and Facebook! 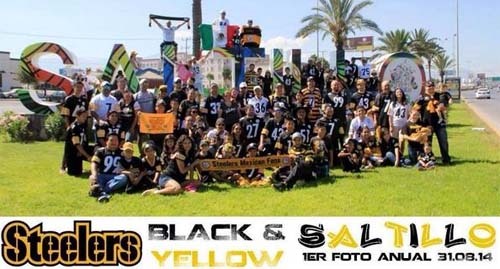 Our fans group is STEELERS Black & Yellow and it’s formed by 2 cities (Saltillo and Monclova), from the state of Coahuila, Mexico. In Saltillo, Coahuila 2007 Mike Gomez & I (Enrique Hernández) met when Mike went to the Cyber Coffee where I used work, he saw my cap and my terrible towel and he asked me about my passion for the STEELERS. Among the time we started a friendship that over the years became what is now STEELERS BLACK & YELLOW. We start it with a fans group around 20 members. Then Mike went to Monclova. With the support of Eduardo Abrego and David Gomez start this group in this city. 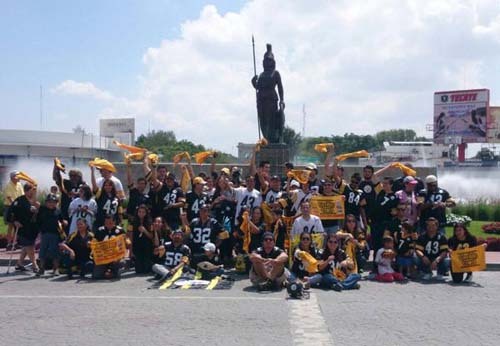 Few years ago we met other fans groups like Regios de Acero, Steelers Family & Steelers Mexico. 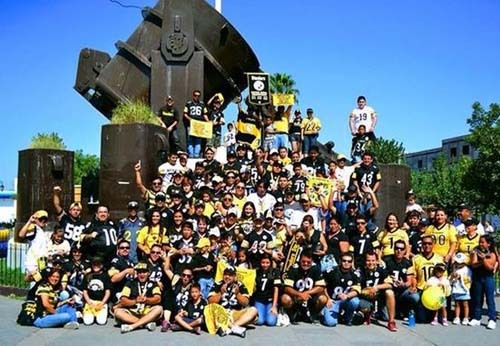 This year in the last Mexico Training Camp all of us decided follow the Regio de Acero’s idea (your 3rd annual photo) and the last Sunday we took our 1st annual photo STEELERS Fans in more than 14 cities of our nation. 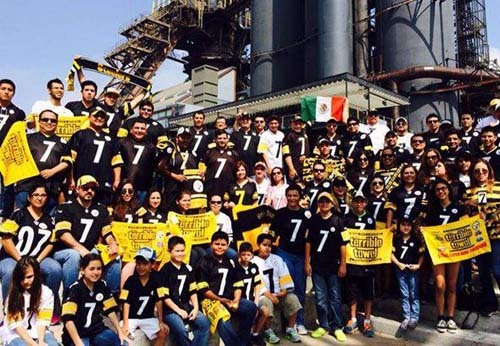 STEELERS Black & Yellow organized the photo in Saltillo and Monclova with an attendance of over 265 people. 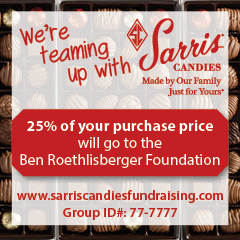 Every time more people join us…Now 7 years after, the fans club STEELERS Black & Yellow has around 500 persons joined for just one reason “PITTSBURGH STEELERS”. @_BigBen7 @AntonioBrown84 #steelersnation #monclova #mexico #WeAreReady! Club for children and young American football. We teach our children to love the sport, discipline and values. It was about a year ago, that Alberto Gutiérrez (@chefosomo67) and me brought the idea from Mexico City of having a Steelers fan group, so we looked for people wearing black and gold jerseys and having Steelers stickers on their cars. 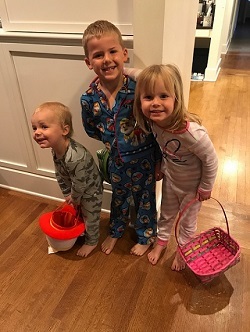 He opened a Facebook page under the name of “Steelers Family Tapatíos” to get as many people as possible to join together and enjoy the games as a family. It hasn’t been fast, but we’ve made lots of friends, we really get along with each other, and it has helped us to know people with interesting jobs and businesses to share. And in this slow but safe growing, we’ve get preference and discounts in bars and restaurants around the city. One time, we had preference over a Chivas (a local soccer team) game in the place, that’s a great achievement considering the quantity of people who likes that team here. ¡Gracias por compartir estas maravillosas fotos!